… and a lot of other interesting readings. Today I got the box from MS Support, and I have now sendt my broken 360 to them. Then I have to wait a couple of weeks befor I get it back. In the meantime I will watch the World Cup on TV and play Zelda on my GameCube. 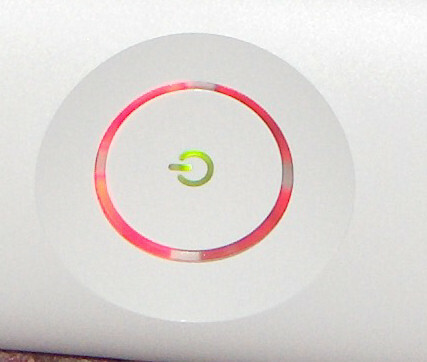 Well, it’s my time to get the “Red Ring of Death”. I have had some freeze ups on my Xbox 360, but it have only happened from time to time. Not like this weekend. I played Burnout as usual when the 360 froze. I was around the 800th place, and when I turned my Xbox on again, I had fallen to 46000-or-something place. Not Good. I played 5 minuttes and it froze again. It also happened a third time. So I took a break to the next day. It started up but froze afer 5 minuttes. I removed everything and remounted the powersupply and videocable and the HD. Froze. It even froze in Dashboard without the harddrive. Later in the day I only got three red lights. Next week the World Cup in football starts in Germany, and I’m looking forward to see it. And when it’s a World Cup, there’s a new football games for the consoles. Today this games are very realistic and you can actually see which player you are using. That was not the case 16 years ago. Then, everything was kind of blocky, but the games played well. So in the video below, you will see the Italia’90 game for the Sega Master System and Mega Drive (aka Genesis).